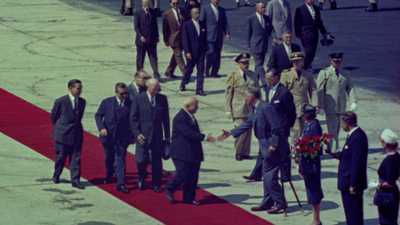 In 1959, Nikita Khrushchev became the first Soviet premier to visit the United States. 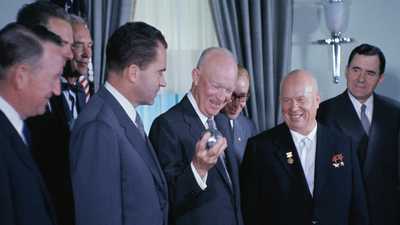 Both Khrushchev and President Dwight Eisenhower hoped the visit would ease Cold War tensions between their two nations. In 1959, the United States Information Service filmed Nikita Khrushchev's twelve-day tour around the United States. When Nikita Khrushchev arrived in America, celebrations ran high. So did tensions. 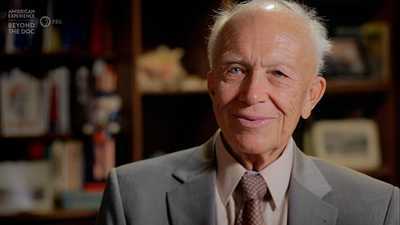 Sergei Khrushchev was 22 when he accompanied his father on an unprecedented American tour. Sergei reflects on the whirlwind, cross-country trip and his impressions of America.